This is the first organic brand I tried. I promised to myself I would never use those other toxic products again. Whenever I need something, I will come to BB first. 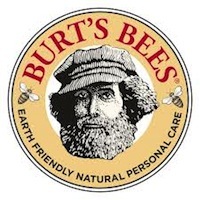 I would like everyone to know that Burts Bees has the BEST customer service I have ever had to deal with. I recently ordered one of their Grab Bags, when I received it, one bottle had leaked onto the other products. I emailed customer service, and they promptly responded back and let me know they would send a replacement. I would love to say this is solved the problem, but upon receiving the new Grab Bag, another lotion bottle had literally EXPLODED on all of the other products. After contacting Customer Service again, I was told that a new replacement will be sent out. Fingers crossed this one has no problems. I just want to applaud Burts Bees and their excellent customer service.